Agia Pelagia is a friendly village on the north-eastern coast of Kythira. 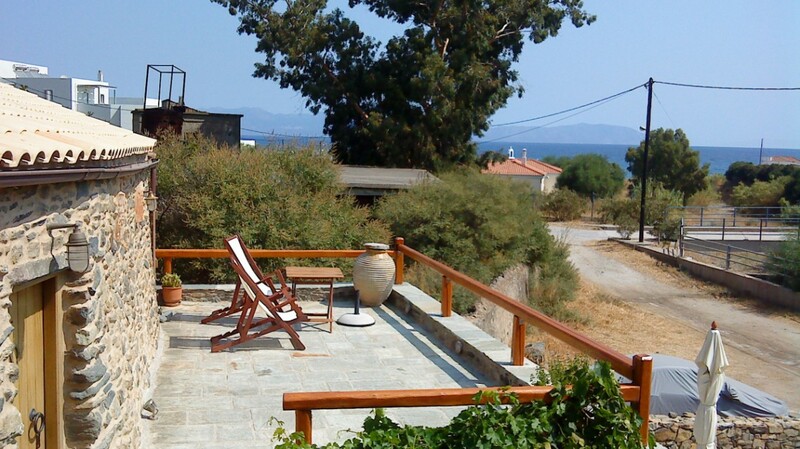 Along the boulevard you will find tavernas, ouzeria and kafeneia with inviting terraces. Is it hard to imagine, enjoying the stunning view over the blue sea with the colourful fishing boats dancing on the swell? You are sure to meet the friendly owner of the local supermarket, Mr. Giorgos. He is very proud of his island, his village and will make you feel more than welcome. Make sure you visit the two zacharoplasteia where you can have lovely ice creams and home made pastries. 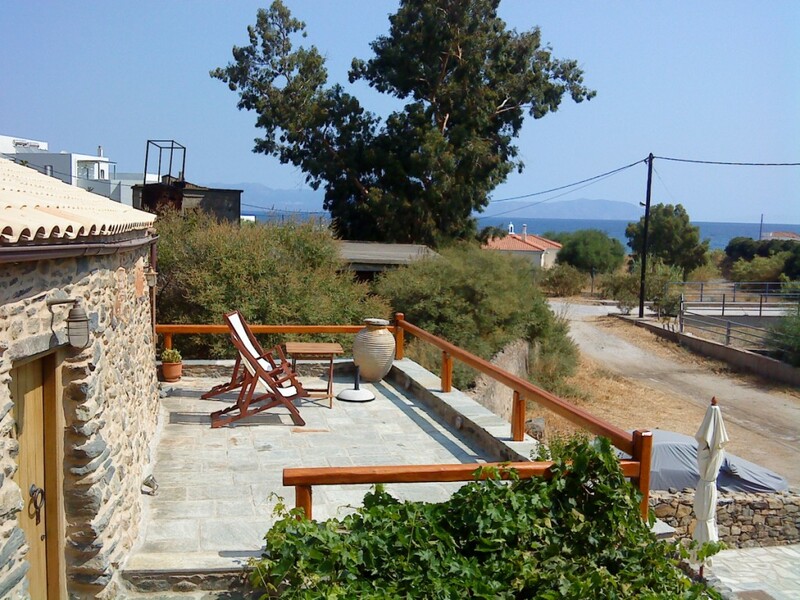 In brief, Agia Pelagia is a very good location for your Kythirian escape, even without your own transport. 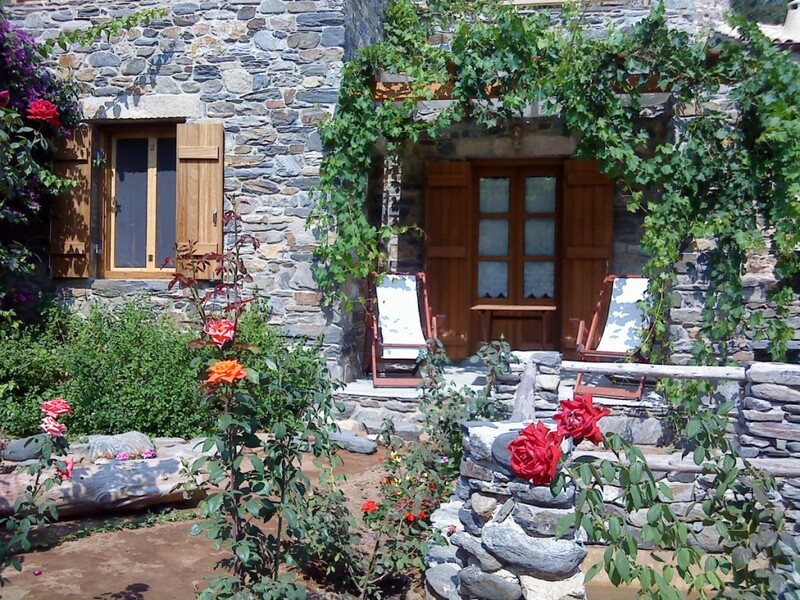 Neromylos – Greek for watermill – is a very stylish accommodation where history, tradition and modern times perfectly come together. Since 1856, the Megalokonomos family have been the owners of the watermill, built between 1820 and 1830. 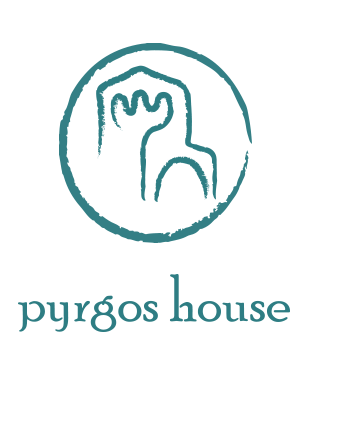 In the valley of Agia Pelagia there used to be eleven watermills, of which the one belonging to the Megalokonomos family was the tenth one in a row. The present-day owner, Vangelis, is a great-grandson of the first miller. The mill functioned until 1945, before being transformed into a storage room. 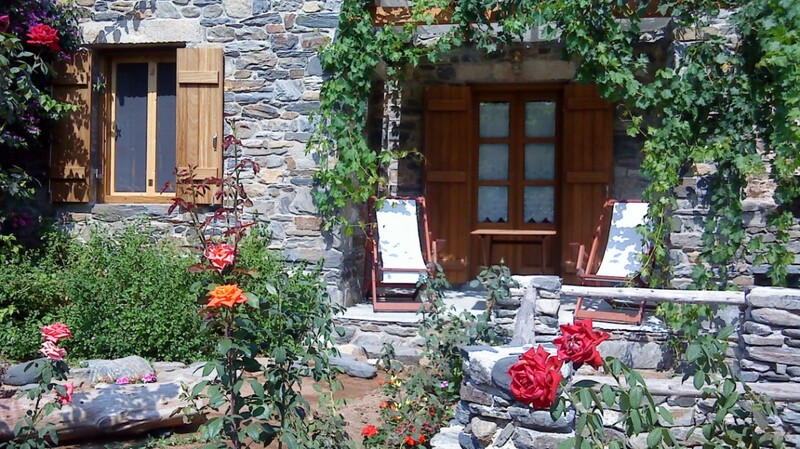 After the grandfather Giorgos passed away in 1983, the watermill fell into disrepair. Vangelis had always been impressed by the stories his grandfather and father told him about the watermill and he was very distressed to see what little remained of the watermill. 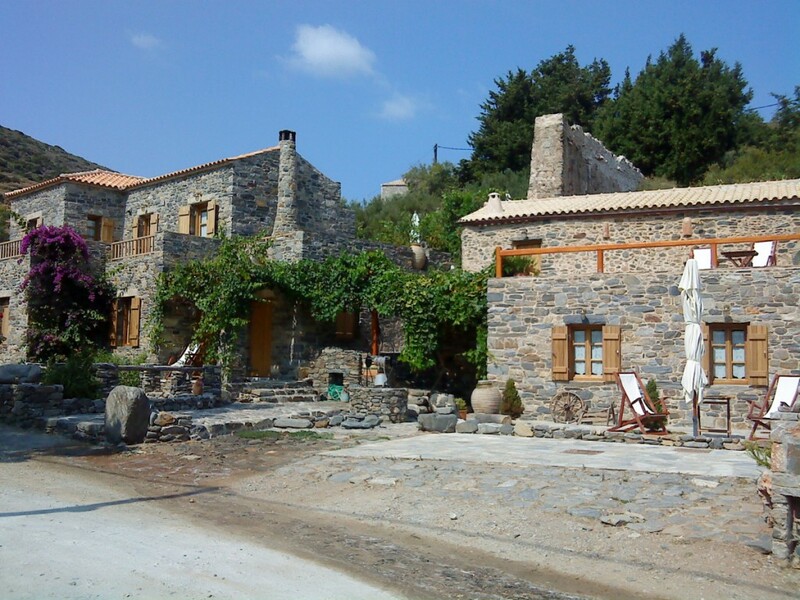 In 1995 Vangelis took the first steps to restore the watermill. Ten years later the restoration was started, and Vangelis helped with his own hands. For the interior of the apartments he used natural materials and respected traditional architecture. Neromylos opened in 2008. 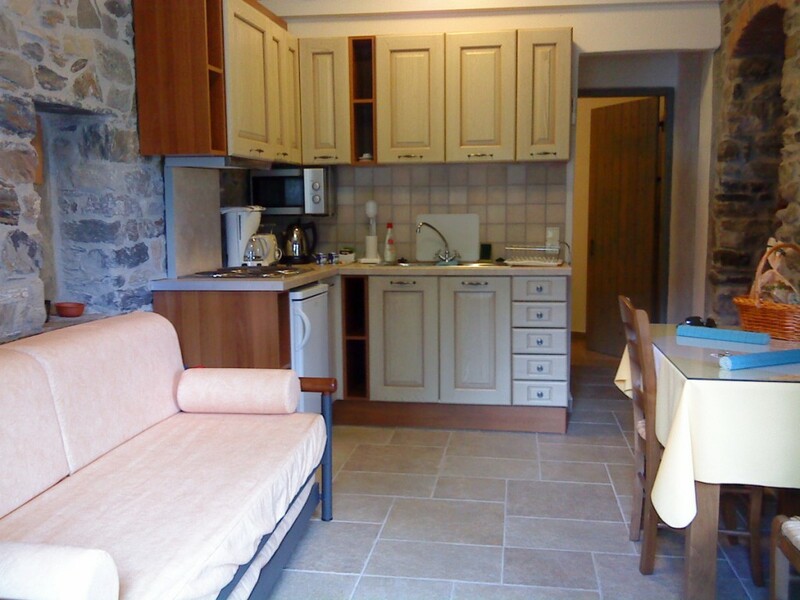 The accommodation is easy to reach via a flat side street from the coastal road and has a private parking lot. The beach is 400 meters from the property. 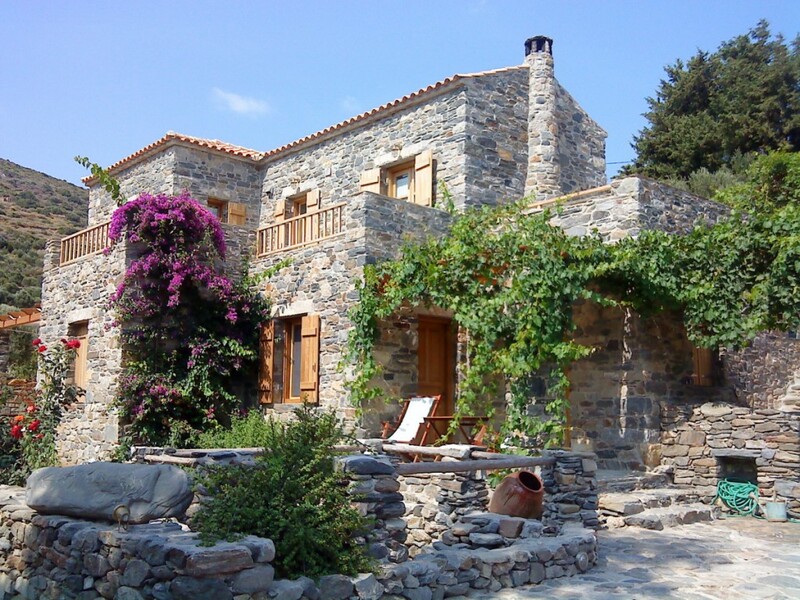 The distance to the promenade with taverns, shops and the supermarket is only 300 meters. Neromylos has four spacious apartments, two in the former watermill and two in the newest building that has been built in the same style. In the left-hand (and newer) building are located the two apartments Alkyon and Nereus – sea divinities of the Greek mythology. Both very similar apartments are on the ground floor and have a private terrace. The entrance is through a spacious living area with open kitchen. 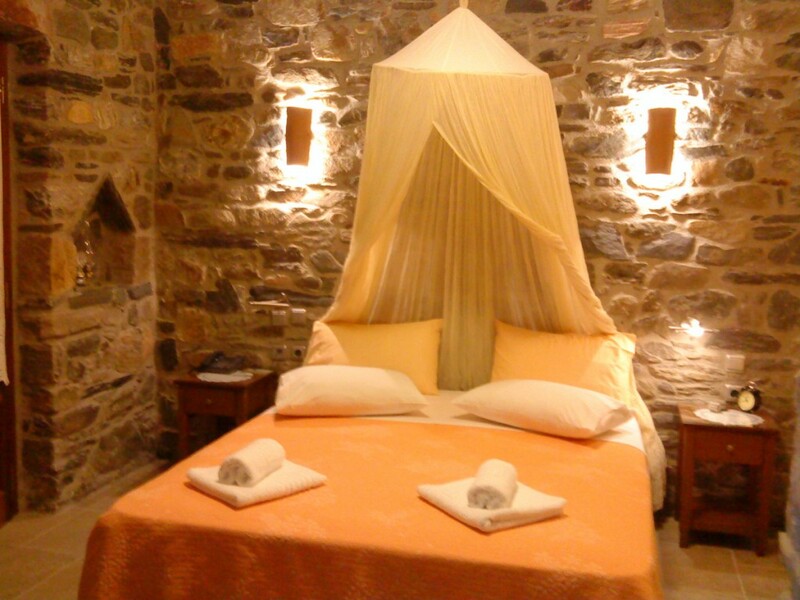 The sleeping area with a double bed is in the adjacent room, separated by a small archway. The couch in the living area can be transformed into two single beds. 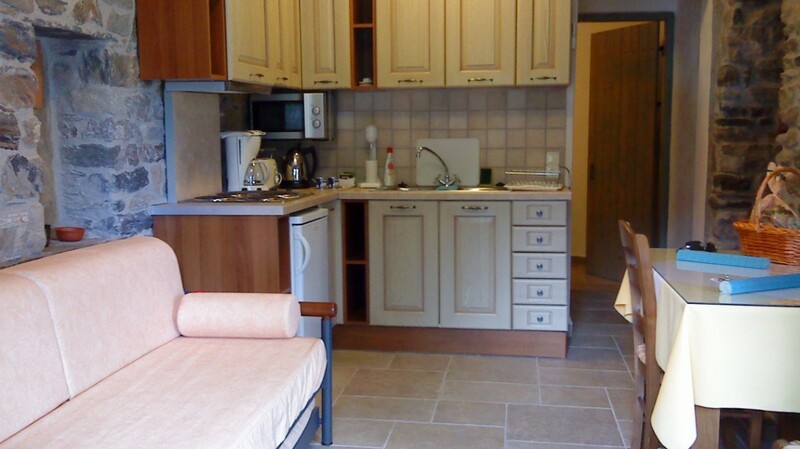 The Nereus apartment also has an extra separate bedroom with a single bed. 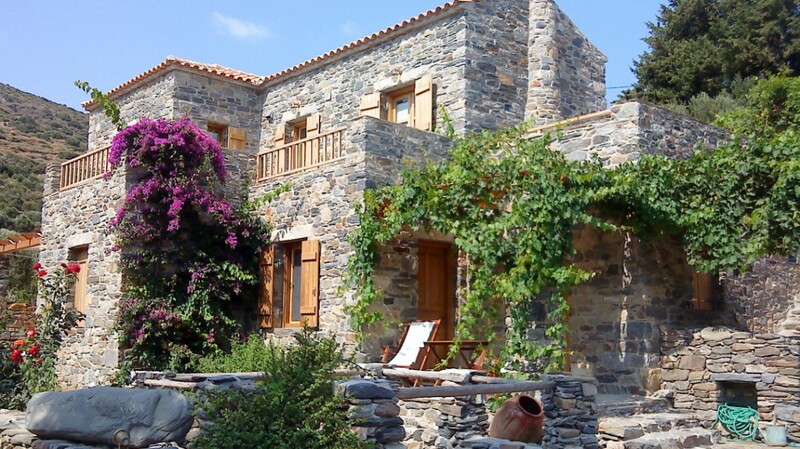 In the former windmill, located in the right-hand building, you will see the apartment Kamares, on the ground floor, and Mylos, on the first floor. 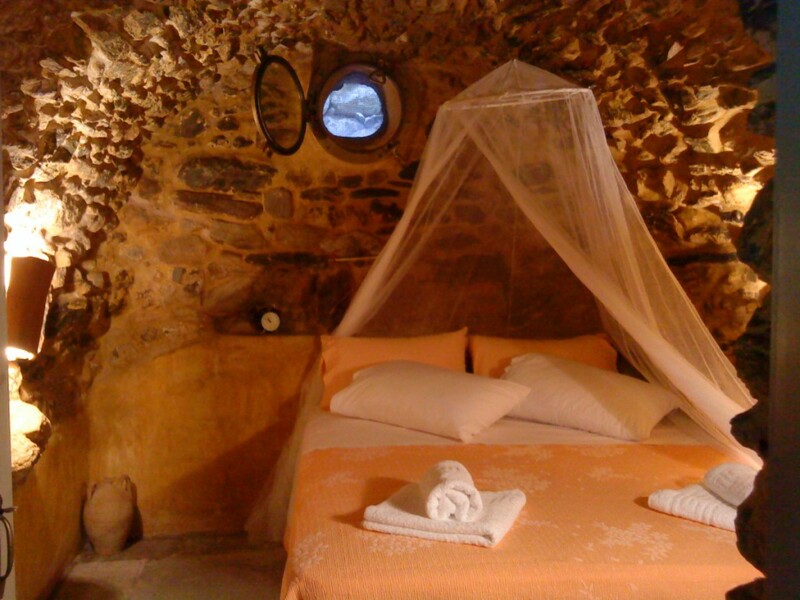 Kamares – Greek for archway-shaped rooms – is very romantic because of the characteristic archway in which the bedroom with the double bed is designed. The spacious bathroom is in the second and adjacent kamara. The couch in the living area with open kitchen can be transformed into two single beds. 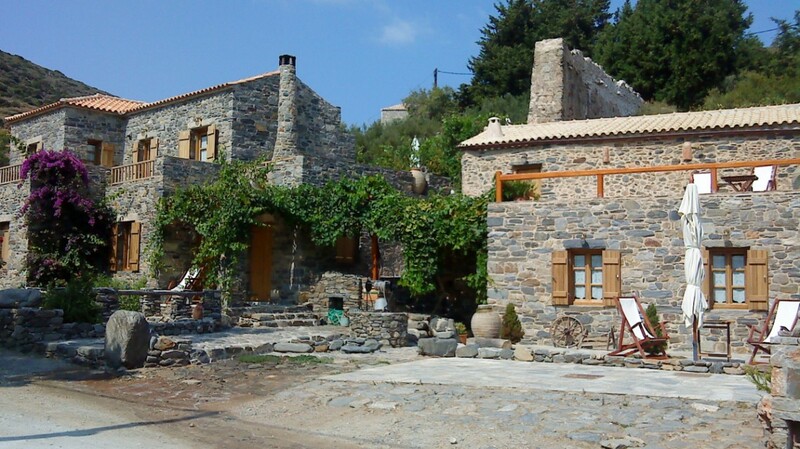 In Mylos, the mill, the entrance is through the living area and kitchen where you will find the old millstones and former fireplace. In the design of Mylos, Vangelis has integrated in a very special way the traditional tools of his grandfather. 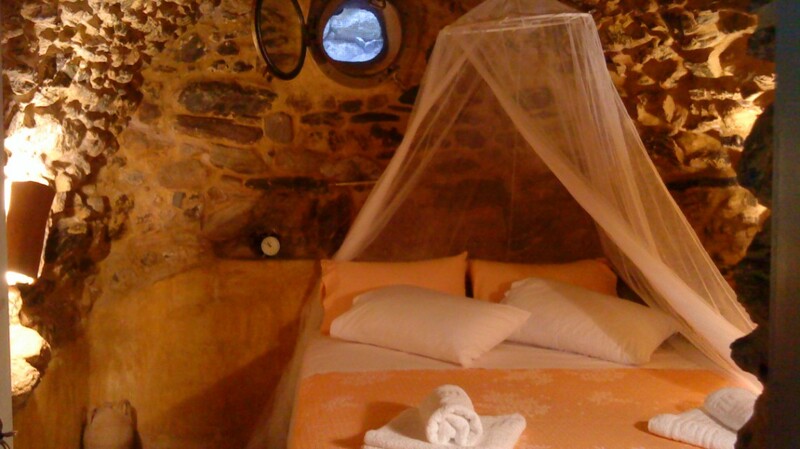 Mylos has a separate bedroom with a double bed. All apartments have air-conditioning, which is without any charge. Alkyon also has central heating. The bathrooms have a shower, toilet and washstand. Vangelis offers breakfast for free. You just tell him a day before what you would like to eat and Vangelis does the shopping. The next morning you make your own breakfast. Because of the characteristic traditional way of building (steps, open water basin, cobble stone paths), Neromylos is not suitable for children younger than twelve. Neromylos is open all year around. Prices are per night and based on a two people staying. For an extra person, the surcharge will be 10 % (in July and August 25 %). 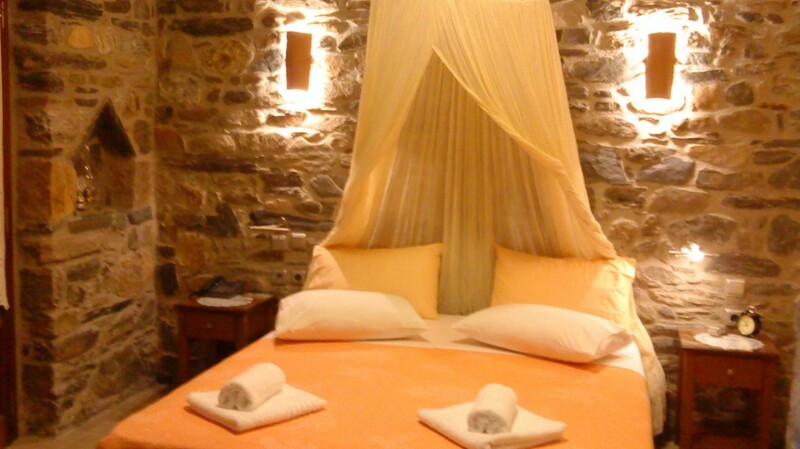 Prices are inclusive of breakfast, cleaning, bed linen and towels. Cleaning and changing of towels are on a daily basis. Changing of bed linen is every other day.